If you’ve dropped into a Hot Topic store, or checked them out online since Lindz’s post last week, you may have noticed that everything is coming up skirts and dresses! 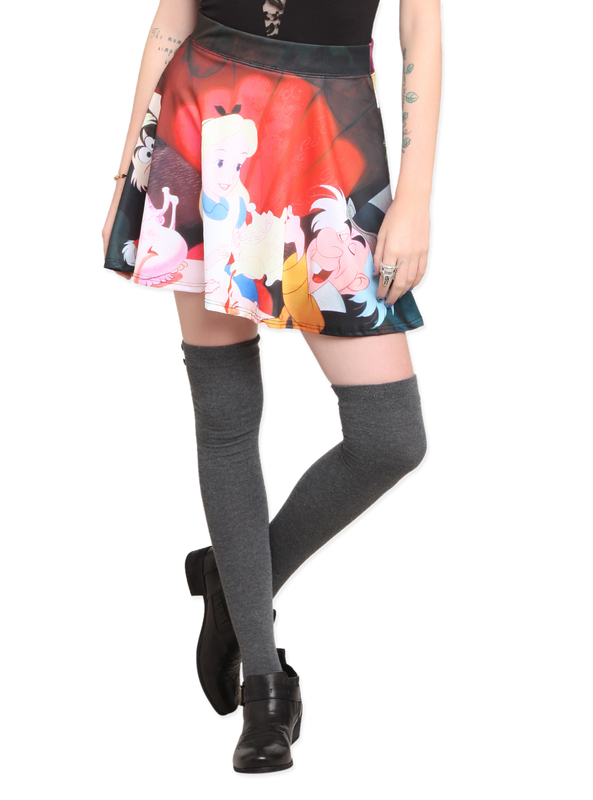 Pretty much every Disney print you can buy in leggings, you can now buy as a dress or skirt. While only Her Universe’s Exploding Tardis print is currently only available as leggings or a pencil skirt, more skirt and dress options of Her Universe prints will be coming out soon! I dropped by my local Hot Topic this weekend to try on the dress and skirts for myself, and I’m happy to say that I’m a huge fan of all of them. A-line dresses are incredibly flattering for a variety of body types, so I’m thrilled that this style of dress is finally making its debut. While I love skirts, I rarely wear them, but that might change now with the new fitted pencil skirts and flared circle skirts! The pencil skirts are a thicker spandex material than the leggings, and provide good support and shape. Circle skirts always look cute, and I was pleasantly surprised to find a slip built into the skirt. 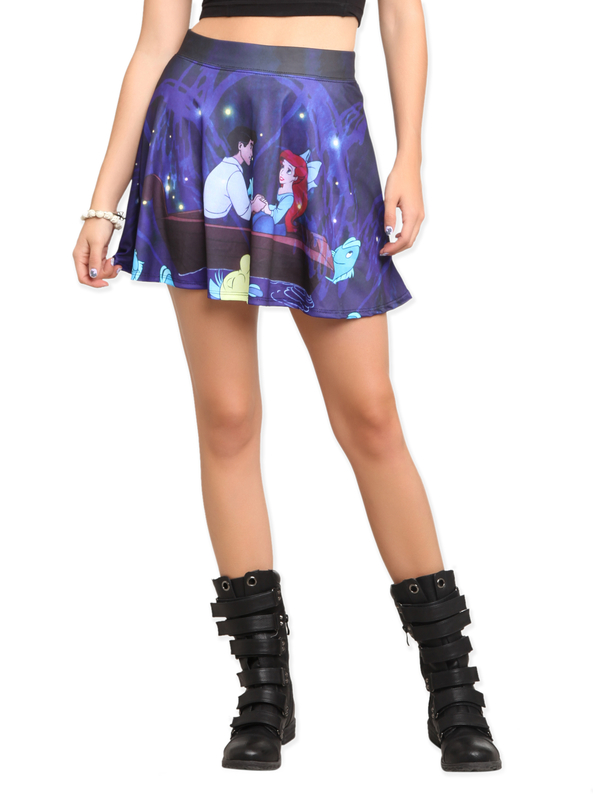 You can notice a huge Disney presence at the moment with these new skirt and dress styles. Chic Disney clothing has not been as common as geek chic Marvel/DC clothing, so I’m glad to see a literal explosion of trendy and cute outfits with Disney prints on them, but as a DC fan, I’m dying waiting to see some DC prints on these skirts and dresses! Hopefully we’ll see some DC prints, and more Marvel prints, in dress and skirt form in the near future. Walking into a Hot Topic these days, it’s never been more obvious that geek chic style is IN, and hopefully here to stay! It’s a great time to be a stylish geek. I’d say the sizing runs fairly true to size. I wear Small for most things and it’s what I wear in these Hot Topic skirts and dresses. My measurements are roughly 32-26-36 for a point of reference. Keep in mind, these are made of stretch fabric, so they have give to them. For instance, the skirts have no zippers, you just rely on the stretch of the waistband, which stretches to accommodate probably an inch bigger or smaller.